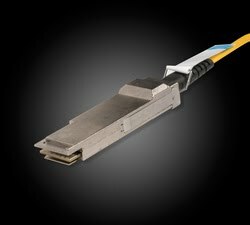 Siemon, a leading global manufacturer of IT cabling infrastructure systems today introduced its new line of four lane QSFP+ 40Gb/s active optical cabling assemblies, designed to support interconnect applications such as high-performance computing (HPC), enterprise networking and network storage systems. These high-speed interconnects are a part of Siemon’s Moray™ Active Optical Cabling (AOC) product family and expand Siemon’s extensive portfolio of copper and fiber data center cabling solutions. 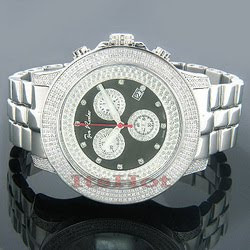 ItsHot.com Presents Aesthetic Diamond Jewelry and Diamond Watches at Wholesale Prices: ItsHot.com, the leading manufacturer and wholesale dealer of diamond jewelry accessories and diamond watches presents beautiful Diamond Jewelry Accessories at wholesale prices directly to the public. Artistically crafted diamond jewelry like diamond earrings, diamond rings, diamond pendants, diamond bracelets and much more is now available at the online superstore of ItsHot.com at reduced prices, guaranteed to be lowest anywhere. Astonishing diamond jewelry items and diamond watches available at ItsHot.com are loved and adorned by both men and women. Women's Diamond Jewelry accessories like diamond hoop earrings, diamond key pendants, diamond rings, bracelets and necklaces can seamlessly project glorifying feminine beauty, winning hearts all over. On the other hand, exclusive men's diamond jewelry accessories like men's diamond bracelets, rings, men's diamond stud earrings and men's diamond pendants among many more, produce a distinct masculine favor which makes the wearer stand apart from the crowd. Magnalight.com Adds Solar Powered LED Area Light with Rechargeable 12 Hour Battery: Larson Electronics added the SPLED-5 solar powered LED light with rechargeable battery to magnalight.com. Featuring a motion detector and low light sensor, the SPLED-5 solar powered LED light is designed to provide small area illumination. During daylight hours the 8 watt solar panel recharges the internal lithium ion batteries. At night time, the 5 watt LED solar light will provide 12 hours of low illumination over 200 square feet. Once someone approaches the lit area, the integrated motion detector will increase the intensity of the LED light in the same area. At high intensity, users can expect 8 hours of illumination. 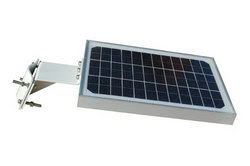 Measuring 16 inches by 13 inches, the solar powered LED light can be surface mounted or attached to a pole or rail. In high illumination mode, the solar powered LED light output easily matches the output from a 175W metal halide fixture or a 500 watt incandescent. Kinect for Xbox 360 takes Entertainment to Next Level without Controller “Kinect” for Xbox 360 Sets the Future in Motion — No Controller Required: Microsoft reveals new ways to play that are fun and easy for everyone. Get ready to Kinect to fun entertainment for everyone. Microsoft Corp. today capped off a two-day world premiere in Los Angeles, complete with celebrities, stunning physical dexterity and news from a galaxy far, far away, to reveal experiences that will transform living rooms in North America, beginning November 4th and will roll out to Australia and the rest of the world thereafter. 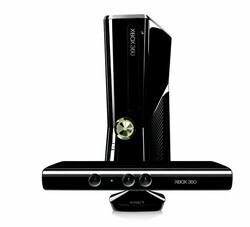 Opening with a magical Cirque du Soleil performance on Sunday night attended by Hollywood’s freshest faces, Microsoft gave the transformation of home entertainment a name: Kinect for Xbox 360. Then, kicking off the Electronic Entertainment Expo (E3), Xbox 360 today invited the world to dance, hurdle, soar and make furry friends for life — all through the magic of Kinect — no controller required. “With ‘Kinectimals*’ and ‘Kinect Sports*’, ‘Your Shape™: Fitness Evolved*’ and ‘Dance Central™*’, your living room will become a zoo, a stadium, a fitness room or a dance club. You will be in the centre of your entertainment, using the best controller ever made — you,” said Kudo Tsunoda, creative director for Microsoft Game Studios. Microsoft and LucasArts also announced that they will bring Star Wars® to Kinect in 2011. And, sprinkling a little fairy dust on Xbox 360, Disney will bring its magic as well. NetroMedia adds iPad Support to Multi-platform Streaming Solution: Streaming high-quality video (up to 720p) to Apple's popular Tablet device completes NetroMedia's "4-Screen" delivery solution - capable of reaching Desktop computers (PC / Mac), Tablet PCs, Smart-phones (e. g. iPhone, BlackBerry) and select Set-Top Boxes. NetroMedia, global CDN and streaming service provider, is proud to announce today the addition of Apple iPad streaming to its suite of online broadcasting services. This new feature was launched as part of the company's Multi-platform strategy, in order to maximize online streaming media coverage. Released in early 2010, the iPad is Apple's latest addition to the Tablet PC market, achieving an impressive one-million sales in its first month. It is considered by Apple to be a "magical and revolutionary" device designed for easy Internet surfing and media consumption. The encoding profile used to reach Apple's iPad can also be used to serve the iPhone, PC and Mac computers. Streaming to the iPad (Apple iOS) is done using H.264 video compression with AAC (Main Profile level 3.1) audio via RTSP/RTP. NetroMedia uses packetizing technology to prepare the stream for iPad viewing. The encoding profile used to reach Apple's iPad can also be used to serve the iPhone, PC and Mac computers. Both on-demand and live streaming are supported. 24/7 access to an online self-management streaming portal is included with NetroMedia's services. This is where users manage and provision channels "in the cloud", as well as analyze their project's usage statistics. Earlier this year NetroMedia announced the transition from bandwidth-based services to a pooled-bandwidth environment across channels. This move prepared the ground for a cost-effective Multi-platform streaming solution, in additional to increasing the distribution of unused bandwidth within accounts. 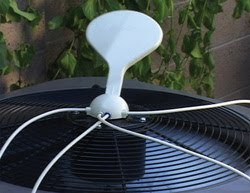 Cool-n-Save Green Innovation Reduces Cost of Air Conditioning by as Much as 30%: Patented “green” device reduces energy cost of air conditioning by pre-cooling air with treated water mist. Cool-n-Save is a “do-it-yourself” installation with 5 easy steps, no tools, and no electricity. Just as summer gets underway, Greenway Design Group, Inc. announces special pricing for its popular Cool-n-Save pre-cool system that can save up to 30% on the cost of running air conditioning systems. How Does Cool-N-Save Pre-Cooled Air Save Money? Ubermind, leading developer of next-generation mobile apps, today announces the release of client Getty Images' free iPad app, creating a new era of convergence between creative and media professionals and today's powerful mobile technology. This app marks developer Ubermind's third major iPad app launch. 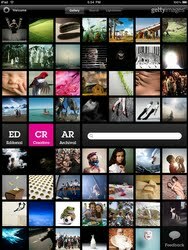 The Getty Images app brings the same powerful search capabilities of the Getty Images web site to a new and exciting user experience, designed exclusively for iPad. Creative and media professionals can harness the power of Getty Images' entire collection of over 24 million creative, editorial and archival images, whether in the office or on the go, completely by iPad. 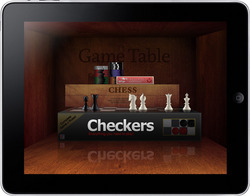 Label Interactive, a leading innovator in interactive design and game development, today announced that Game Table for the Apple iPad will be available on the Apple App Store for free this weekend. Game Table will be free June 18th - June 21st. Take advantage of this great offer and get your game on with dad! Imagine all of your favorite board games with no small pieces to lose. Game Table delivers your classic game collection in electronic format. You provide the competition -- and the action. NewAir Introduces AC-14000E and AC-14000H Commercial Quality Portable Air Conditioners to provide supplemental cooling for medium to large areas: NewAir, a world-leading manufacturer of cooling and heating appliances, has introduced two new cooling solutions for 2010. Suitable for areas up to 450 square feet, the new AC-14000E and AC-14000H provide supplemental cooling for medium to large areas in locations where central air conditioning is not feasible or does not provide adequate cooling. 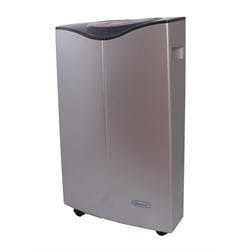 Available in cool-only or cool-heat models, this new line of portable air conditioners complements NewAir's existing line of innovative cooling solutions for home and office users. The AC-14000E and AC-14000H are both extremely compact portable ACs specifically designed for localized cooling. Six New Surface Mount LED Lighting Fixtures from Albeo: Albeo's new channel and wrap surface mount LED light fixtures improve energy savings, reduce carbon emissions and reduce maintenance costs. An ideal lighting solution for garage, school, and cold storage applications. Quality tested and built to last. Albeo Technologies, an award winning manufacturer of industrial and commercial solid-state lighting systems, introduces six (6) new surface-mount LED light fixtures for general illumination. Albeo's Surface Mount fixtures are available in LED Channel and LED Wrap configurations each with three power levels, 40 Watt, 60 Watt or 80 Watt and light outputs ranging from 2200 to 5600 lumens. 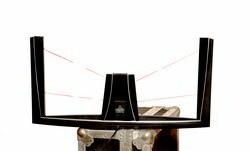 Specification sheets and photometrics are available at www.albeotech.com. Engineered to minimize the LED's junction temperature with rugged housings and custom aluminum extrusions, Albeo's Surface Mount lighting solution delivers best-in-class brightness, efficiency, and longevity. Sony PlayStation collaborates with MUBI to enhance film viewing on PS3: Sony PlayStation and MUBI are developing a service where PS3 users have a wide and diverse range of films to choose and watch directly from the console. Sony Computer Entertainment Europe [SCEE] has announced a partnership with online film cinematheque MUBI, to bring to PlayStation®3 (PS3™) a new service that will introduce PS3 owners to a world of independent, international and classic cinema. Later this year, PS3 users will have access to a treasure trove of celluloid curated by experts - so that even non-experts can enjoy what might otherwise take a lifetime to discover. MUBI will offer more than 300 films at launch from directors from Audiard to Zeferelli; and they're all going to be available to stream directly to users' PS3s. Social Connect® The Fastest Growing Dating App on Facebook: WORLD CUP TIME – GOAL! Social Connect, the cool lifestyle and dating app that recently launched on Facebook, is letting members and users send World-Cup related free soccer charms (jerseys, soccer balls, flags) to their selected friends on Facebook, MySpace, Orkut, Hi5, Yahoo, Gmail, Hotmail and Twitter. It’s “Copa” time; billions worldwide will watch the games and cheer on their favorite teams and stars. And it’s really exciting to see that South Africa is hosting the great event. South Africa will be the perfect host, and this event also will showcase the greatest players in the world and the beauty of the South Africa nation, its culture, attractions and people. Mexico and South Africa will launch the Cup – we wish your fave teams mucho, muito, viele, molto, plus, and lots of luck! Raid Recovery Tool Now Supports 230 File Types: Raid Labs announces the release of Raid Recovery, an update of a popular Windows tool to recover all types of RAID arrays with or without the original RAID controller present. Raid Recovery gets an update of its trademarked data recovery engine which now supports the recovery of more than 230 types of files, a leap forward compared to 150 types of files supported by prior versions. All newly added formats are fully supported including the support of company’s signature Live Preview, a feature allowing instant preview of recoverable files. Raid Recovery is designed to allow Windows users recovering dismantled, damaged or corrupted RAID arrays even if the original RAID controller is not present in the system. The tool is able to re-create RAID arrays of all types, and supports most types of RAID arrays, including RAID 0, 1, 5, 0+1, and JBOD (span). Raid Recovery supports most dedicated and all built-in RAID controllers. Arrays created with RAID controllers built into Intel, NVIDIA, and VIA motherboards are supported, as well as Microsoft Dynamic Disks. 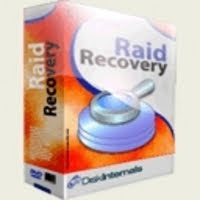 The RAID recovery tool supports all editions of FAT and NTFS file systems, and works in all versions of Windows including Windows Vista, Windows 7, and 2008 Server. Apart from technologies allowing Raid Recovery to reassemble dismantled RAID arrays, the core of the tool is its data recovery engine called PowerSearch. The engine applies advanced techniques in order to locate and recover many types of files spread over multiple disks comprising RAID arrays. PowerSearch relies on a database of recognized file formats in order to identify, locate and recover those files. The more information the database contains, the more types of files Raid Recovery can successfully restore. The new version of Raid Recovery features an updated engine. The updated data recovery engine now recognizes more than 230 types of files, a leap forward compared to the previous version that could only recognize about 150 file types. OxOeO Inc. announces the launch of iLikeYou, a free iPhone app that gives its users the opportunity to say "I like you" to someone without them ever finding out, unless they also feel the same way. iLikeYou uses a location awareness system to connect users who are close enough to see each other, but may not yet be ready to make the first move. When two iLikeYou users are in the same vicinity, each will see a small picture of the other on their iPhone screen. Aside from that image, the identity of the other user is completely private. Touching the picture will bring up an option to send an "iLikeYou" to the iLikeYou server for the person in question. The server checks for a matching "iLikeYou", and if one is found both users are informed they like each other--the ice is broken and a conversation can begin. If it's a one way deal, it stays a secret. Skype's New iPhone Application Gives 3G Calling Functionality: Available to download from the Apple App Store today, this update allows iPhone users to make and receive Skype-to-Skype calls, and to call mobiles and landlines around the world at very low rates for the first time over their 3G. Skype today announced the launch of the new version of its iPhone application. Available to download from the Apple App Store today, this update allows iPhone users to make and receive Skype-to-Skype calls, and to call mobiles and landlines around the world at very low rates for the first time over their 3G data connection. Skype-to-Skype calls on 3G will be free for a trial period which will run until the end of 2010*. Details of pricing will be announced in the coming months and will be in line with Skype's commitment to providing customers with great value. Skype-to-Skype calls over WiFi will still remain free. Sony Ericsson Xperia X10 Mini and HTC Wildfire compact Android OS SmartPhones handsets Available online at Tech SuperStore eXpansys: eXpansys expands its portfolio of compact smartphones with two well priced additions: The new Sony Ericsson Xperia X10 Mini and HTC Wildfire compact Android OS smartphones have arrived at online tech superstore eXpansys. eXpansys are now taking orders for these highly anticipated handsets, while the Xperia X10 Mini will begin shipping from today, the Wildfire will be heading to customers from the 26 July. Both handsets offer a suite of Google™ mobile applications including Google Search™, Google Maps™, Google Mail™ and YouTube™ are also integrated onto the device. Plus users have access to thousands of apps and widgets from Android Market™. NextWindow™ Introduces New Large-Format Touch Screen: New touch screen kit provides thin frame, low profile and simplified integration. 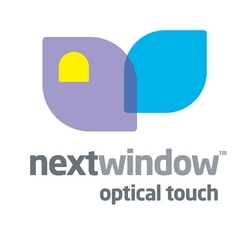 NextWindow, a subsidiary of SMART Technologies, announces the 2500 Large-Format Optical Sensor, a new large-format optical touch screen kit for use by systems integrators, OEMs and ODMs. The 2500 optical touch screen kit features thin borders and a low profile, making it attractive for commercial applications and is available in sizes ranging from 30" to 52" (76 to 132 cm). The optical sensors use a passive illumination system, improving reliability and simplifying assembly for interactive digital signage, directory displays, kiosks and education settings. The 2500 is on display this week at InfoComm 2010 at the NextWindow booth (N2552). 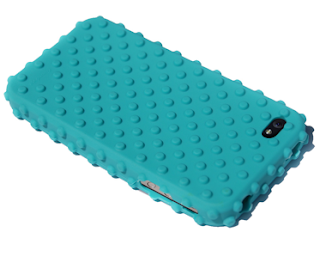 Gumdrop Launches with the First 4G iPhone Cases, Before Apple: New Brand is Dedicated to Mobile Accessories for the Youth Market: Apple accessories industry veteran Tim Hickman announced today the launch of Gumdrop Cases, a mobile accessories brand dedicated to the active youth lifestyle market. Gumdrop Cases is now shipping two lines of 4G iPhone cases, in anticipation of Apple’s 4G iPhone / iPhone HD announcement today. 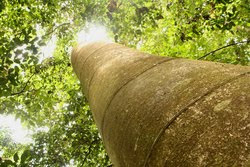 PlantMyPhone, the easy cellphone recycling service, announces the first winner of the PlantMyPhone cellphone recycling sweepstake on United Nations World Environment Day (June 5th). Jason Prodoehl of San Francisco, California became the winner of the $1,000 sweepstake by mailing in his old cellphone and being randomly drawn from the pool of participants that started recycling with PlantMyPhone since its launch two months ago in March 2010. According the Environmental Protection Agency, Americans annually retire 130 million mobile devices, and many of these end up improperly disposed of in landfills. Cell phones waste often contains hazardous materials such as arsenic, antimony, beryllium, cadmium, copper, lead, nickel, and zinc. Disposing of cell phones in landfills enables these pollutants to seep into water, land and animals that interact with these toxins. ZiiLABS, a pioneering media processor and platforms company and a wholly-owned subsidiary of Creative Technology Ltd. announced that it is showcasing its latest Stereoscopic 3D and OpenCL (Open Computing Language) technology to partners visiting the Computex show. Hand-Held Spectrolightmeter for LED & Light Measurement: Gigahertz-Optik's BTS256-LED Tester is designed to measure the luminous flux, illuminance, color and spectral characteristics of LEDs, discrete LEDs within a module, miniature lamps, endoscopes and any narrow beam emitting light source. LEDs measured on the test bench can produce different photometric and color results in actual operation mounted on the PC board. Also measuring slight color and flux differences between discrete LEDs mounted in a module is not possible with typical LED measurement set-ups. Gigahertz-Optik's hand-held BTS256-LED is designed to measure luminous flux or illuminance, color data and spectral distribution of PC board mounted LEDs, discrete LEDs within a module, miniature lamps, endoscopes and any narrow beam emitting light source. 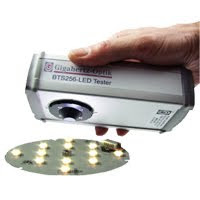 Larger size light sources can be measured by either attaching the BTS256-LED tester to a Gigahertz-Optik integrating sphere or by measuring illuminance using a screw-on diffuser window. Why Buy an iPhone When You Can Get a Free iPhone on Contract? 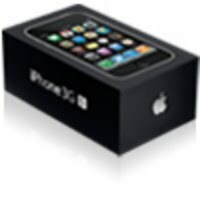 New iPhone prices site feature which facilitates the comparison of various iPhone deals offered by providers giving away a free iPhone on contract. Apple's new iPhone has come in two colors - white and black, with two memory sizes - 16 GB and 32 GB. 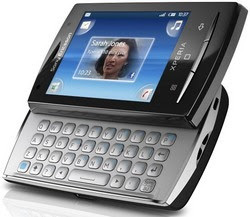 3GS phones have a wide display screen, 3 MP video camera, amazing internet connectivity speed, GPS, and a magnetic compass. Its gaming capabilities rival the Nintendo DSi. Both consoles allow downloading games via Wi-Fi and both allow functions via Applications for further entertainment. Orange has launched a free iPhone into market, in competition with other service providers with two types of schemes: 1) Pay and Go and, 2) Monthly contract. Mobile providers offer different deals on their services with various price ranges specific to Apple iPhone. Customers in UK can now easily make a comparison of tariffs, schemes, and incentives offered by different websites to find the best online deal.